Canon has revealed its latest DSLR, the Canon EOS 6D Mark II and the camera comes with a range of high end features. 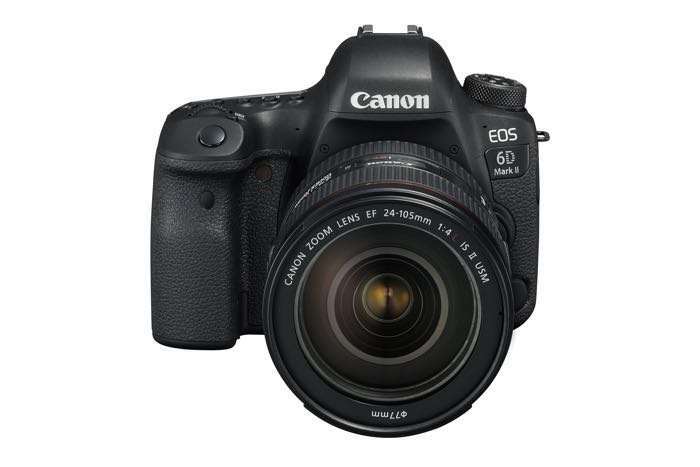 The Canon EOS 6D Mark II is equipped with a 26.2 megapixel CMOS sensor and it also has a vari angle LCD touchscreen and more. EOS 6D Mark II’s new 26.2 Megapixel CMOS sensor offers users of Canon’s current EOS 6D, and APC-S sensor EOS DSLRs, unrivalled image quality and improved performance. Its high dynamic range ensures exceptional exposure latitude allowing users to push their boundaries when shooting in bright light conditions. The improved ISO 40,000, expanding to ISO 102,400, allows flexibility so documentary photographers can snap scenes with the confidence that details will be retained even in the darkest nights. Combined with the latest DIGIC 7 processor EOS 6D Mark II’s technology creates high quality files straight from the camera. Whether you’re shooting a starry night in your garden or even the Northern Lights, users have the command to ‘wow’ and expand their portfolio in new, exciting ways. With EOS 6D Mark II users can command greater control over their creative vision thanks to the 45 point AF system, which can be customised and allows more precise tracking. The upgrade to EOS 6D Mark II gives users the possibility to capture difficult scenarios with fast, spontaneous action such as the bride and groom walking down a confetti filled aisle. Alongside DIGIC 7’s image processing advancements, EOS 6D Mark II can predict the movement of a subject across the frame and respond rapidly. When combined with the 6.5 fps, EOS 6D Mark II opens a whole new range of possibilities. EOS 6D Mark II’s new AF system retains the ability to accurately lock onto subjects even in the lowest lighting, perfect for portraits in diminishing ambient lights. Prices for the new Canon EOS 6D Mark II DSLR will start at £1,999.99 for the body only and £2,379.99 when bought with the EF 24-105 STM kit, you can find out more details at the link below.